This year Motivate Our Minds would like to showcase our hardworking students by awarding them with our Student of the Month award. Every month, a student will be nominated by their teacher for all of their hard work & dedication. 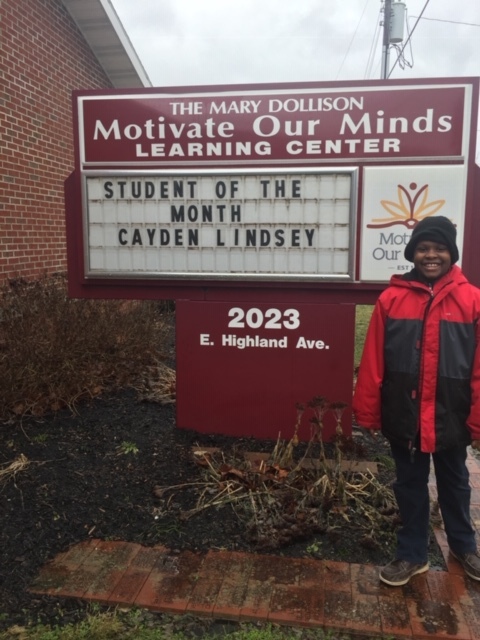 Motivate Our Minds would like to announce Cayden Lindsey as our Texas Roadhouse sponsored Student of the Month for the month of February. In addition to attending MOM, Cayden attends St.Mary’s Elementary School, he is currently in the fourth grade. While at St.Mary’s, Cayden has A's and B's and recently won an MLK Youth Citizenship Award from the Martin Luther King Dream Team. When asking Cayden about his time here at MOM he spoke about the the chance to see & work with his friends who attend other schools. He also appreciates the valuable education he receives, as he said "They give us a high education." Thank you to Texas Roundhouse for sponsoring our Student of the Month! This month we would like to highlight our Prelude at MOM club in conjunction with the Youth Symphony Orchestra of East Central Indiana. 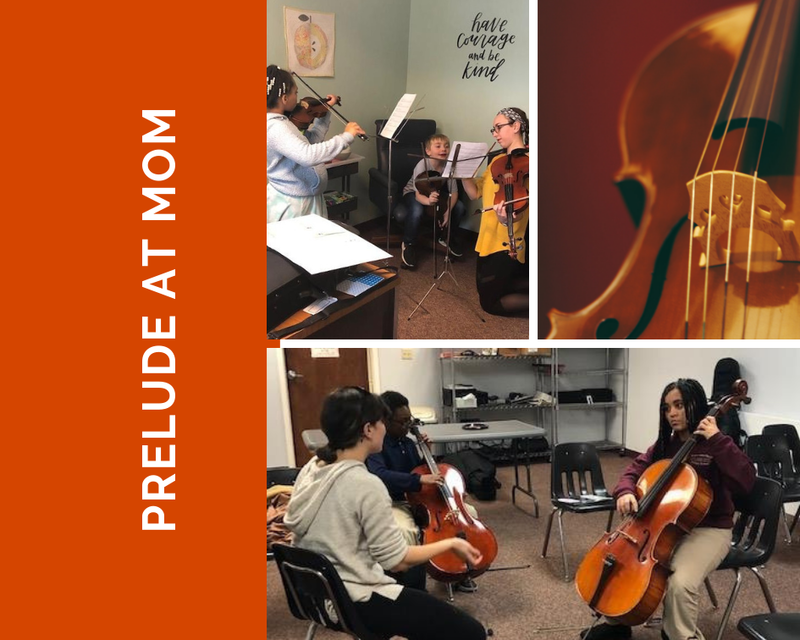 Prelude at MOM is a club that provides students with lessons on how to play the violin & cello lessons. The club is led by instructors Ariya & Megan. Additional spots for lessons are available for your child! 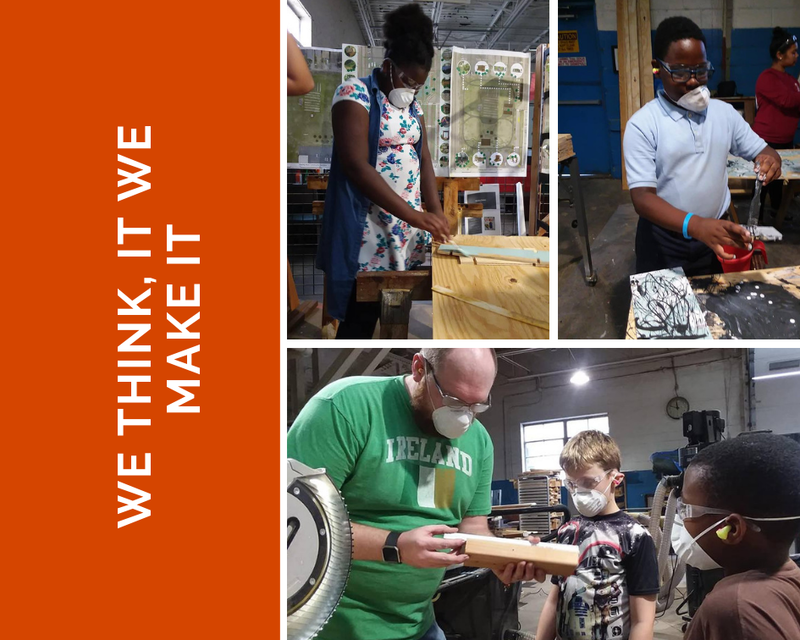 The We Think It -- We Make It club was started in the spring of 2018 in collaboration with Ball State Architecture professors and students. The club is a chance for the older students at Motivate Our Minds to get experience designing and building things like bird houses or wooden toys. The club meets each Wednesday and has sometimes gone to the First Thursday events in downtown Muncie for an extra fun experience for the students. Not only do the students get a chance to use the Ball State Architecture wood shop at MadJax, they also get to show off the work they've been doing in the club and even have a chance to sell it. This December First Thursday event, the students set up tables near other vendors inside MadJax and sold wooden toys they had built raising money for Motivate Our Minds. They will be finishing up this semester by creating small decorative Christmas trees they can take home to their families.